We should be scared to death that Sally Q. Yates served as a prosecutor in the Justice (sic) Department for 27 years. 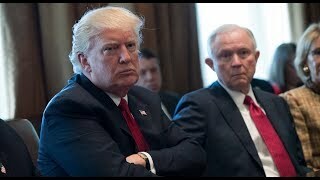 In the New York Times Sally takes high umbrage to Trump's criticism of his attorney general, Sessions, and blows Trump's disappointment with Sessions into an attack by Trump on the rule of law. In 1940 US attorney general Robert Jackson warned federal prosecutors against "picking the man and then putting investigators to work, to pin some offense on him. It is in this realm -- in which the prosecutor picks some person whom he dislikes or desires to embarrass, or selects some group of unpopular persons and then looks for an offense -- that the greatest danger of abuse of prosecuting power lies. It is here that law enforcement becomes personal, and the real crime becomes that of being unpopular with the predominant or governing group, being attached to the wrong political views or being personally obnoxious to, or in the way of, the prosecutor himself." Robert Jackson has given a perfect description of what is happening to President Trump at the hands of special prosecutor Robert Mueller. Trump is vastly unpopular with the ruling establishment, with the Democrats, with the military/security complex and their bought-and-paid-for Senators, and with the media for proving wrong all the smart people's prediction that Hillary would win the election in a landslide. From day one this cabal has been out to get Trump, and they have given the task of framing up Trump to Mueller. An honest man would not have accepted the job of chief witch-hunter, which is what Mueller's job is. The breathless hype of a nonexistent "Russian collusion" has been the lead news story for months despite the fact that no one, not the CIA, not the NSA, not the FBI, not the Director of National Intelligence, can find a scrap of evidence. In desperation, three of the 17 US intelligence agencies picked a small handful of employees thought to lack integrity and produced an unverified report, absent of any evidence, that the hand-picked handful thought that there might have been a collusion. On the basis of what evidence they do not say. The new Russian sanctions bill passed by Congress is an act of reckless idiocy. It was done without consulting Europe, which will bear the cost of the bill and might reject it, thus sending shock waves through the fragile American empire. Congress' thoughtless bill is a violation of the separation of powers. Foreign policy is the executive branch's arena. The feckless Obama put the sanctions on. Obviously, if a president can put sanctions on, a president can take sanctions off. Trump should take his case to the American people, not via Twitter, but with a major speech. Fox News and Alex Jones, either of which has a larger audience than CNN and the New York Times, would broadcast Trump's speech. Trump should make the case that Congress is over-reaching its constitutional authority and also preventing a reduction in dangerous tensions between nuclear powers. Trump should ask the American people forthright if they want to be driven into war with Russia by gratuitous provocation after provocation. Because of the powers that Bush and Obama thoughtlessly gave the presidency, Trump can declare a national emergency, cancel Congress, and arrest whomever he wishes. Of course, the presstitute media would do everything possible to sway the people and the US military against the state of emergency, but if there were a real "Russian collusion," Trump would have Putin initiate a major crisis that would bring the people and the military to Trump's side. That no such thing will happen is total proof that there is no "Russian collusion." Even the Washington Post, an initiator and leader of the breathless "Russian collusion" lie has now published an article, "The quest to Prove Collusion is Crumbling," that concludes that the entire orchestration is a hoax.